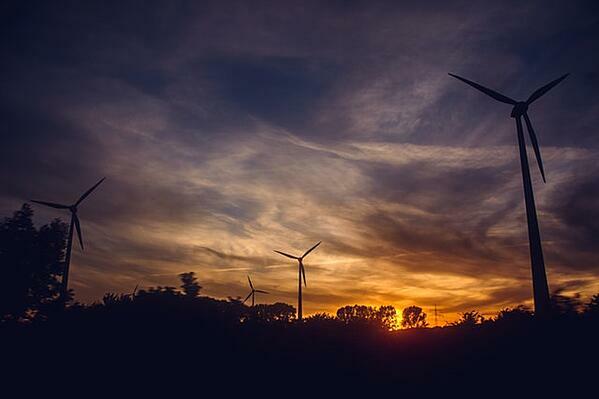 In the past few years, there has been an increase in wind energy demand all over the world. And with so many engineering systems operating long-term subsystems or sensors these days, some sort of failure is inevitable. Fault tolerant control guarantees the system is stable under specific performance indicators. The timing of a system failure isn’t always something you can predict, and without effective system design it can have a severe effect on your wind turbine’s safety. It’s important to understand faults and how to minimize their impact on your energy production! First off, you should understand warnings and faults as two different issues. Warning = the system will continue operating, but there’s a problem you should address. Fault = the system will undergo either a controlled shutdown or an emergency shutdown. Let’s get the worst out of the way first. The second one is the big one. Your turbine only makes money for you if it’s actually running. Controllers under passive fault tolerance are designed to stand strong against several faults. A passive system does not need fault detection and isolation or controller reconfiguration. As you may have guessed, the passive fault tolerant control has limited tolerance capabilities. Active fault tolerant control can handle parameter variations within the nominal operating range. Active fault tolerant control normally reacts actively, as the name implies, to system component failures. It then actively reconfigures control actions to maintain system stability and acceptable performance levels of your system. Unlike passive fault tolerant controls, active fault tolerant controls normally rely on real-time fault detection as well as an isolation scheme for up-to-date information about your system’s status. Wind turbines produce energy in two regions: partial load region, or Region II and fully rated load, or Region III. Region II is where the wind turbine is controlled to capture as much energy as possible. To achieve this, the generator torque is adjusted to achieve an optimum ratio between blade tip speed and wind speed. In Region III, the controller usually adapts the aerodynamic efficiency of the rotor. Adapting the aerodynamic efficiency normally happens by pitching the blades in and out of the wind to maintain the relationship between rotor speed and torque at the rated value. In Region II, the turbine blades are kept at zero pitch, but with Region III blades start to feather based on wind speed. Switching between the two regions is gradual, not instant. It’s often a challenging control problem. Note that your pitch actuator will never let you break it! Warnings allow a system to continue operating without failing completely. If something’s going wrong, the turbine system should automatically adjust its operating conditions so it can do so at a safe level. Example: The motor current is getting too high, so the system reduces peak current to the motor. A good system is smart enough to constrain turbine output and report that back to the main turbine controller. A fault tolerant pitch actuator will automatically constrain its performance, creating a safe, dynamic operation. The fatigue life of your structure is like a car’s fuel supply. You’re consuming that “fuel” whenever you operate the turbine, and eventually it’ll run out of useful life. The rate at which that happens is dependent on wind conditions and turbulence, but also how your system responds to warnings. Undetected changes in conditions can greatly accelerate consumption of fatigue life with no increase in energy production. In fact, they usually decrease energy capture. System failures in wind turbines are inevitable. Fault tolerant control ensures the system is safe, stable, and productive. A great pitch actuator system informs you what to do next in the case of a warning or fault. This happens not through static responses, but rather through ones that are based on exhaustive collection of data. Listening to the signs you’re system gives you will help you minimize downtime and cost inefficiency!